Chelsea have named their starting eleven and substitutes to lock horns with Jurgen Klopp's Liverpool at Anfield in a Premier League meeting this afternoon. The Blues are battling to finish in the top four this season and will want to do all they can to avoid defeat at Anfield; Chelsea won at Anfield earlier this season, knocking the Reds out of the EFL Cup. 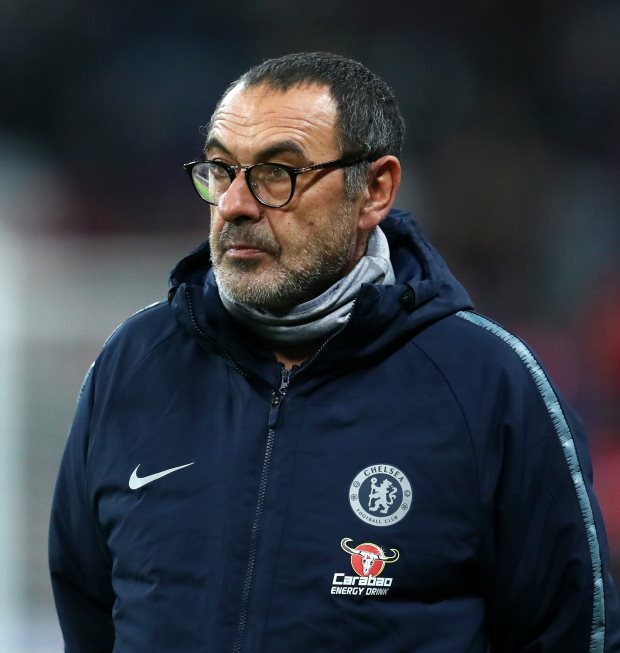 Chelsea shook things up against Slavia Prague in Europa League action in midweek, meaning boss Maurizio Sarri has fresh legs to call on. The visitors have Kepa in goal, while at the back Sarri picks a central defensive pairing of David Luiz and Antonio Rudiger. In midfield, the Blues have Jorginho, N'Golo Kante and Ruben Loftus-Cheek. Callum Hudson-Odoi, Eden Hazard and Willian are in attack. Sarri can change things if needed by looking to his bench, where options available include Gonzalo Higuain and Olivier Giroud.